This print formed part of Mondo’s huge ‘Stout & Taylor’ showcase in early 2013. Two versions were released, the regular version (above) had 400 pieces produced at $50, The blue-tinted variant had 205 pieces produced and initially cost $75. Both measured 24”x36”. 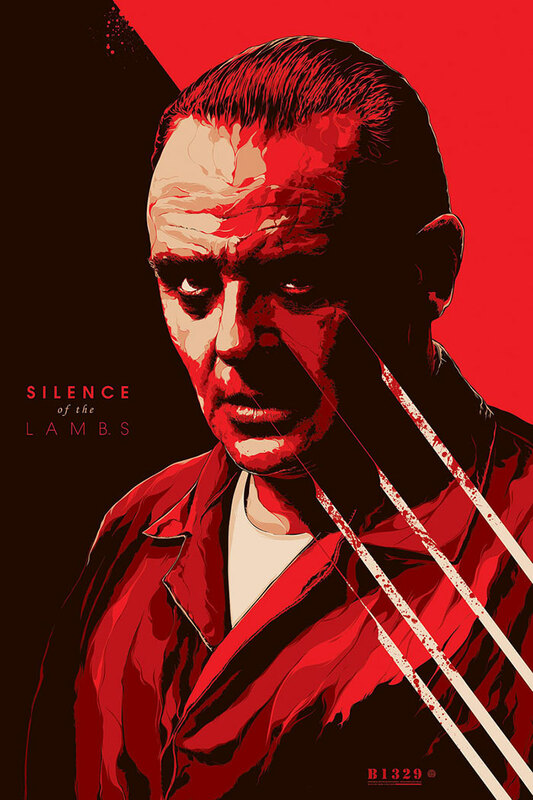 Directed by Jonathan Demme and starring Anthony Hopkins as Hannibal Lecter, the story follows FBI trainee Clarice Starling who ventures into a maximum-security asylum to pick the diseased brain of Hannibal Lecter, a psychiatrist turned homicidal cannibal. Starling needs clues to help her capture a serial killer. Unfortunately, her Faustian relationship with Lecter soon leads to his escape, and now two deranged killers are on the loose.